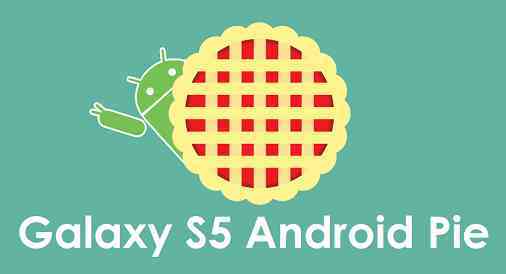 The latest Android Pie for Galaxy S5, is available to download and install via custom ROM like Lineage OS 16. This is a step-by-step guide on how to install Android Pie on Galaxy S5. – This Android Pie update for Galaxy S5 is through custom ROM such as Lineage OS 16. Download one of the Android Pie ROM available for Galaxy S5 from the above list. Download TWRP recovery for Galaxy S5 from the downloads list. Install TWRP Recovery on Galaxy S5 using ODIN. Then, download one of the Android Pie ROM available for Galaxy S5 and copy the file to your phone using MTP mode or sideload from TWRP recovery. Install Android Pie ROM using TWRP recovery. Reboot your phone and enjoy Android Pie on Galaxy S5. If you are facing any issue while following this guide, then you can comment here or you can create a topic on the Galaxy S5 (klte) Forum or on the respective Android Pie, LineageOS 16, Android Oreo Custom ROM topics. I just have one question, can we make external memory card as internal in this rom in storage? If not any solution for storage expansion? The installation and Basic/initial settings was finnished without any problems. Thanks for the very fine Job. I hope I’am on the roght spot. I tried since weeks to find the useable “mindthegapps 9.0” for the Galaxy S5. I can find it. The only one I found is the 64bit version. But I need the 32 version for the S5. I tried the “opengapps 9”, but there are some malfunctions. I suppose the reason is the gapps because some dinstallationdescription say: Only use the mindthepapps. Can anybody give me a link where I can download the mindtghegapps 9 for my S5klte.